We offer many advanced procedures that can restore your smile to full function and beauty. You can learn more about our cosmetic and restorative procedures and find out if you are a candidate by taking advantage of one of our complimentary, no-obligation consultations. Dr. Field will examine you, discuss your treatment options and answer all of your questions. “After my accident, I was so upset because I just knew that my teeth would never look as good. I had three broken teeth and I was embarrassed to smile and had lost some of my self-confidence. When I came to see Dr. Field right after the accident, I could tell that he truly cared about what I was going through and I knew that he would do everything he could to make my smile look like nothing had ever happened. Our cozy office was renovated in 2008 to create a comfortable environment where patients can relax and feel at ease while receiving dental care. Our clean, modern treatment rooms are equipped with state-of-the-art technology and our friendly staff are always at hand to help you with any concerns you may have. 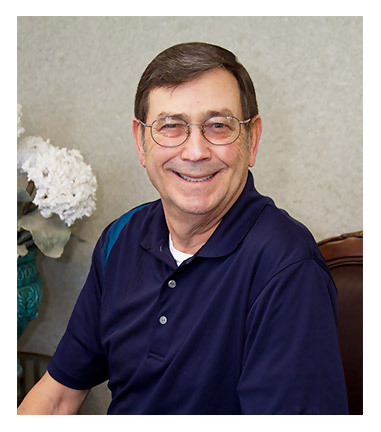 Dr. Field strives to continually provide his patients with the highest-quality and most comfortable dental care available. To this end, he has equipped our practice with some of the latest advanced technology for effective, gentle, minimally invasive diagnosis and treatment. 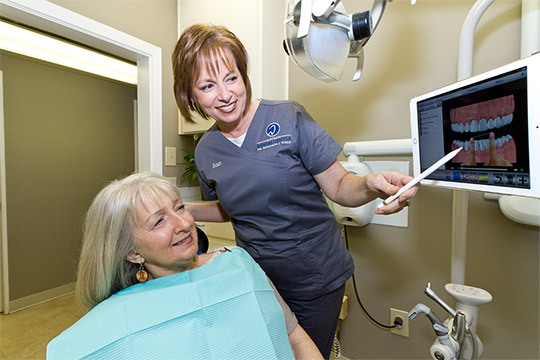 We use low-radiation digital X-rays and digital panoramic X-rays for a full view of your mouth, and we take digital impressions of your teeth that are distortion-free and do away with the need for the traditional goopy impression trays. We utilize ultrasonic technology for gentle teeth cleanings and a special computerized scanner to analyze the alignment of your bite. We provide quality, full-service dentistry in a comfortable, modern office. 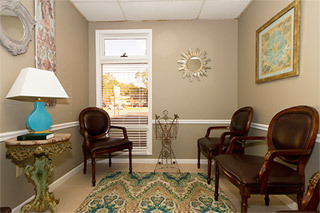 We provide quality, full-service dentistry in our comfortable, modern office. Dr. Field is knowledgeable and experienced in all facets of general, cosmetic, implant and restorative dentistry. We have equipped our office with some of the latest technology so that we can provide you with gentle, precise and minimally invasive treatment. 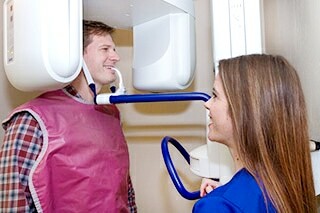 Whether you are looking for exams and cleanings or a full-mouth rehabilitation, we are here for you. Dr. Field uses high-tech equipment to meticulously design and plan implant treatment so that it is efficient, comfortable and minimally invasive. Your implant will support a crown, bridge or denture, and Dr. Field is well-known for creating beautiful, natural-looking and well-fitting restorations. He is a recipient of national awards for excellence in prosthodontics, the art and science of designing and crafting new teeth. Dr. Field uses only high-quality materials to make restorations that are beautifully lifelike and very durable, and he can restore your mouth to excellent health. Dr. Field excels at helping patients of any age improve their smiles, and we have a wide range of options to fit your needs and your budget. We offer professional tooth whitening, in-house and at-home, as well as teeth straightening with Invisalign® . Porcelain veneers and dental bonding can give you a beautiful smile while obscuring minor flaws, and porcelain crowns and bridges are natural-looking and long-lasting solutions to broken-down or missing teeth. Dr. Field continually stays abreast of the latest cosmetic techniques and procedures. He can give you a smile makeover that will light up your face and give you a boost in self-confidence. 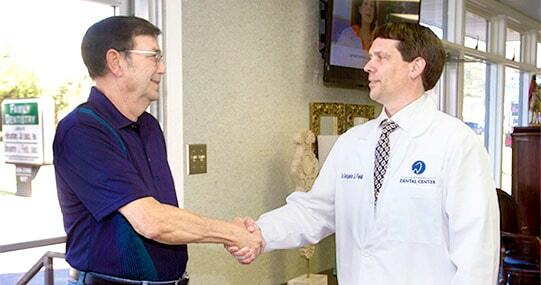 Our friendly doctor and staff will make you feel welcome from the moment you arrive. Our staff will get to know you by name, will help you with scheduling and paperwork and answer any questions you may have. Our gentle hygienists are experienced and are very good at making our patients feel comfortable. 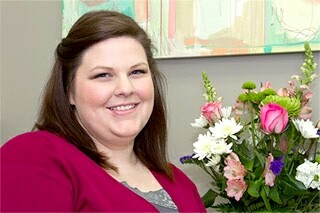 Dr. Field is personable and easy to talk to, and gets along well with all types of patients, including young children. He will patiently discuss his findings and your treatment options and answer all of your questions, so that you are well-informed and can feel confident regarding your treatment. We are experienced with treating fearful or anxious patients, and our modern equipment and techniques are considered gentler and less invasive than other methods. We offer blankets and pillows for comfort in the chair, and we have iPads with wireless headphones so you can watch entertainment videos or listen to music during your treatment.